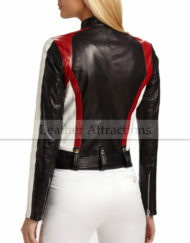 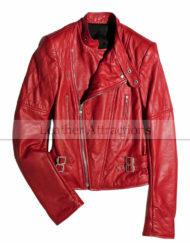 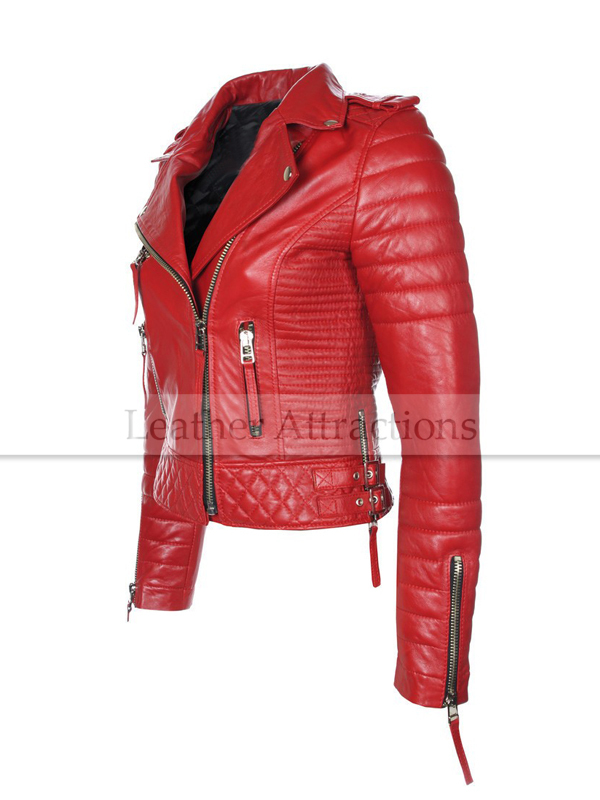 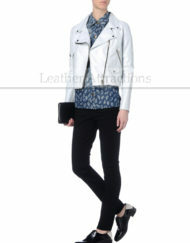 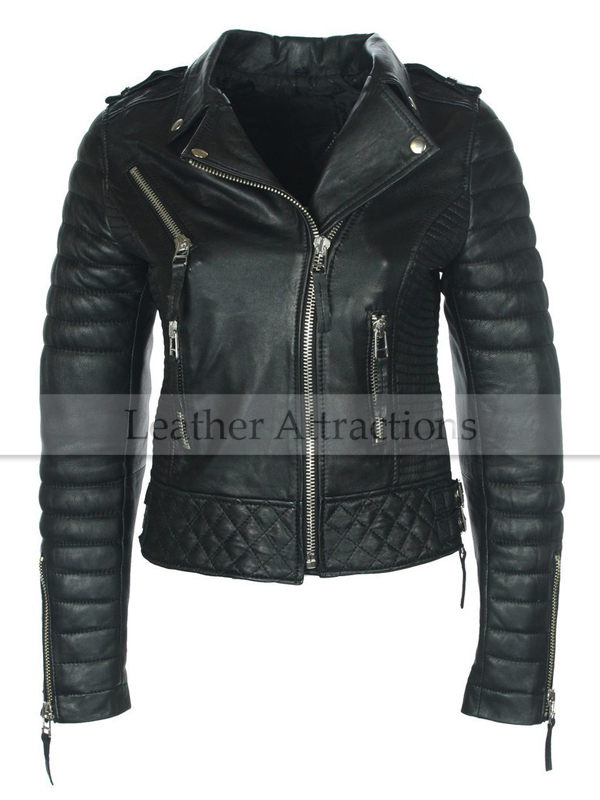 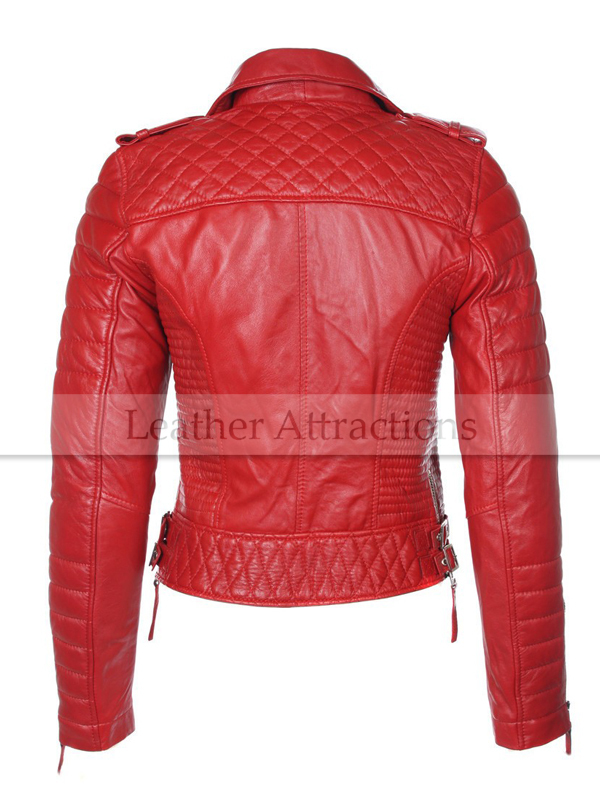 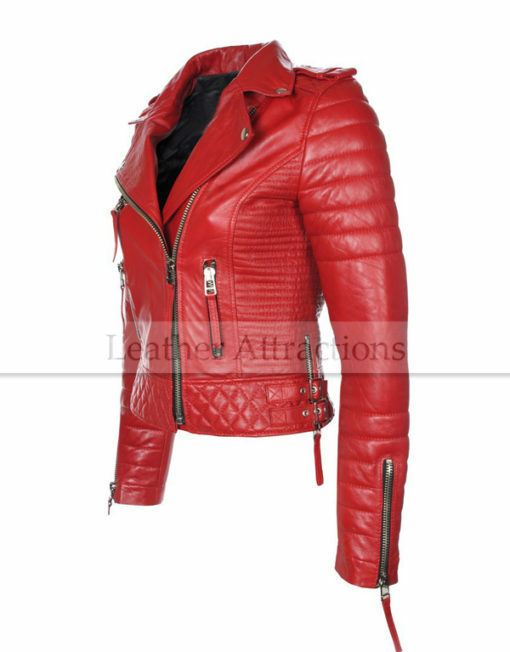 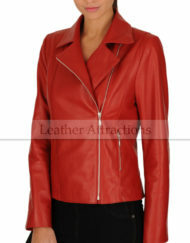 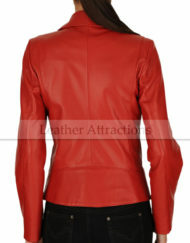 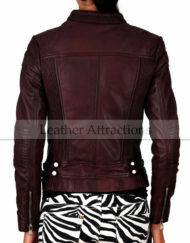 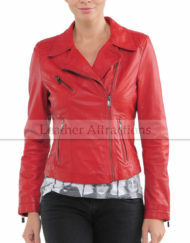 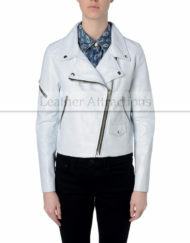 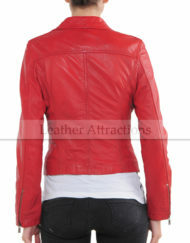 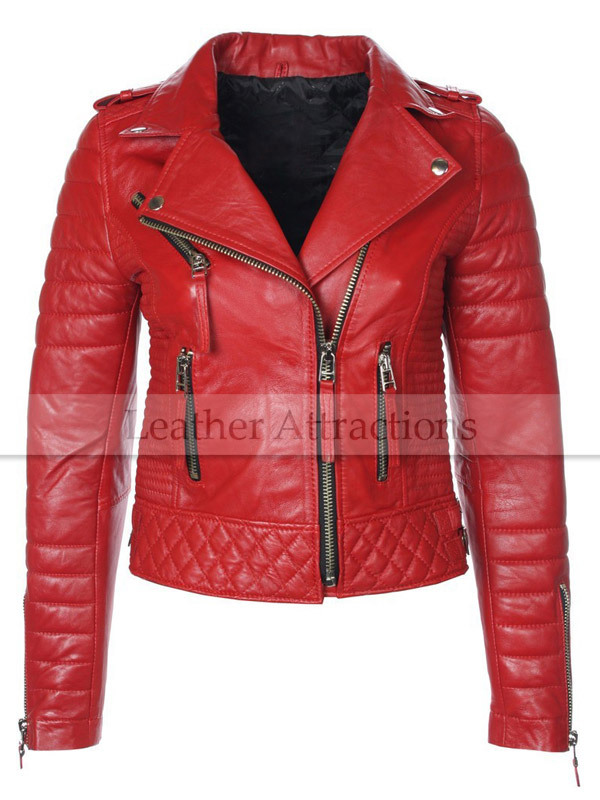 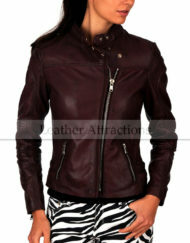 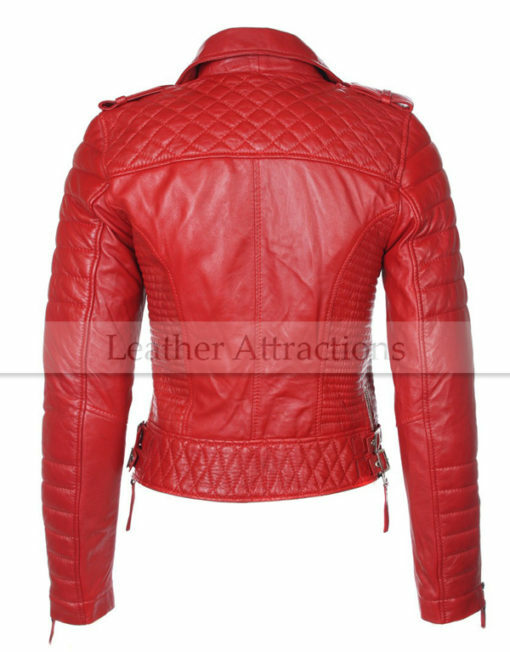 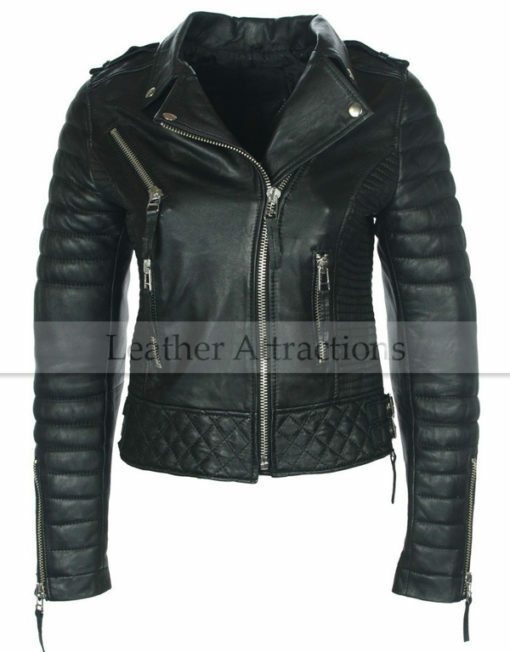 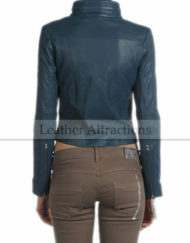 Cut for a flattering slim fit, black/red/white leather jacket is a smart update on a classic biker style. 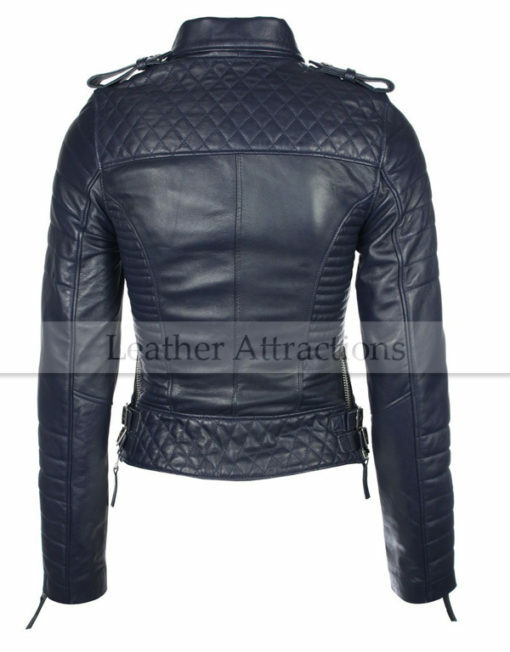 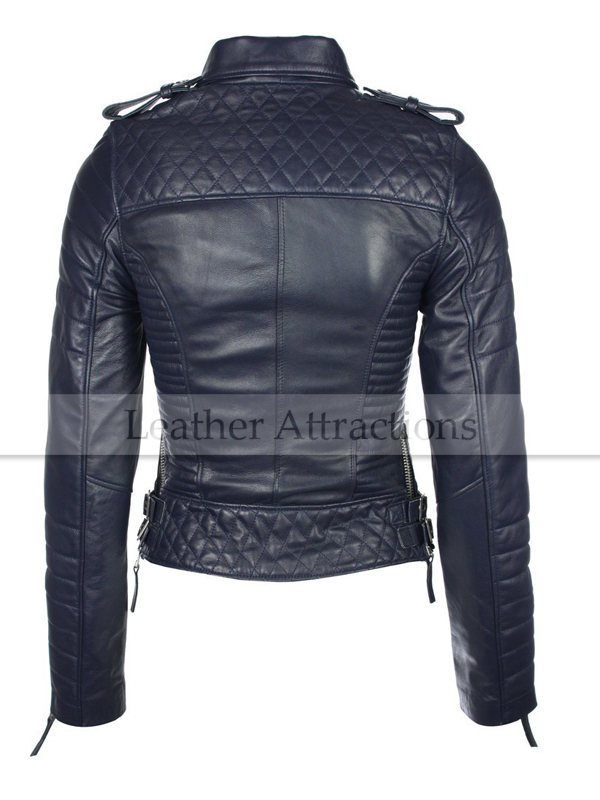 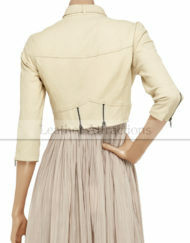 This double-breasted snap and asymmetric zip fastening through front design is fully lined in satin and has quilted shoulder, sleeves, and waist for added definition. 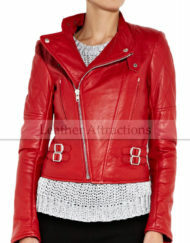 This cool-girl style is the perfect weight to layer over lightweight knits and t-shirt – adjust the buckled waist to suit your look.